New Bedford Police Department reminds the public that prescription medication drop-off boxes are available at all three stations and police headquarters. Police headquarters is located at 871 Rockdale Ave. 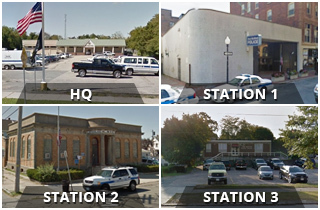 The stations are: Station 1, 572 Pleasant St.; Station 2, 168 Cove St.; and Station 3, 781 Ashley Blvd. The public is encouraged to use these boxes to dispose of unwanted or expired prescription medication. This helps reduce temptation for misuse of the medications and also helps the environment, because they are disposed of in a safe manner.